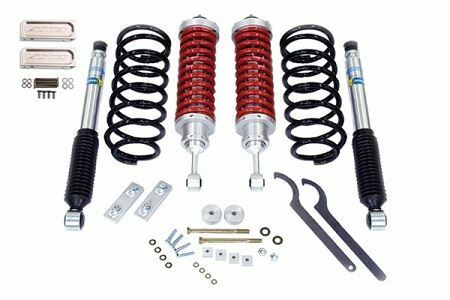 Ultimate lift package: These are a combination of parts we chose that work great on and off road together for a complete lift package that requires nothing else for the best performing lift we have seen at this price level. 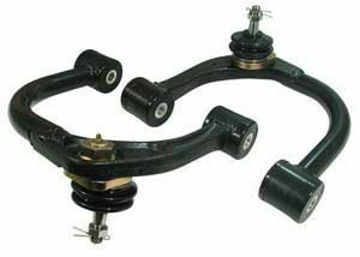 ToyTec "Superflex" rear 2" lift coils add 2" rear flex per side when combined with included rear shocks. ToyTec Superflex HD Coils for additional load capacity. Recommended 150-200 lbs of constant load for 2-2.5" of lift. Toytec's Boss rear shocks - Provide additional travel. Recommended to pair with our HD coils. ** If you have rear factory airbags in your Lexus GX460, add the MetalTech Conversion Kit to from the drop down and this kit will work with your vehicle. The factory shock dampening controls (sport/comfort) will be disabled when replacing the shocks on your GX460.